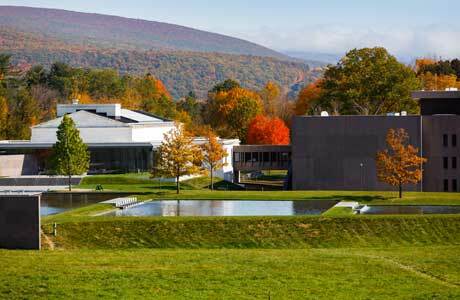 As my luck in this lucky year had it, I was invited to spend the Fall semester as a Holly Fellow at the Clark Art Institute in Williamstown, Massachusetts. Upon arrival, my first surprise was to run into the new director of the Clark, who happened to be an old friend. 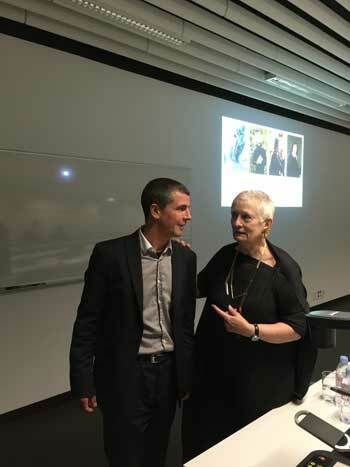 When I was briefly a fellow for one month, in January 2001, Olivier and his wife Laure de Margerie were fellows for the year, and treated us to their lovely and generous friendship. Here you see them, laughing about a joke Ernst is cracking. 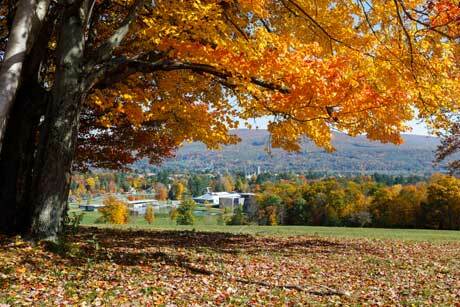 The Fall in this part of New England is spectacular. The weather was mostly sunny, and the one night-frost night required for the leaves to colour properly came just at the right time. 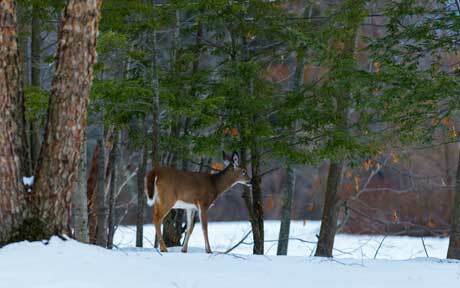 As a result, for weeks on end it felt as if I was walking or driving through an artist’s palette. The photographs don’t do it justice, and even your imagination won’t, but at least they give a suggestion. On this image you see what I saw every day walking to work: the grounds and in the distance, the buildings where my office is, and the Clark Museum. Tucker Bair kindly gave me his professional photos. The one unfortunate circumstance of this divine semester was the absence of my close friend Michael Holly, in honour of whose pioneering work building up RAP (Research and Academic Program) my fellowship was named. 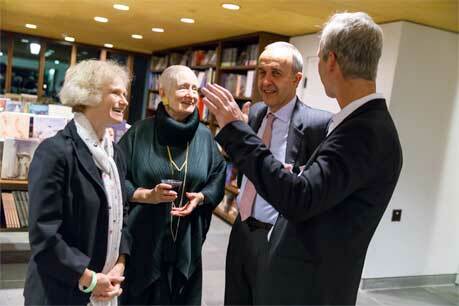 She and I initiated and built the program of Visual and Cultural Studies at the University of Rochester. Now, such programs are everywhere, but ours was the very first - of the country, and of the entire world, probably. Michael left Rochester to become director of RAP more or less at the same time that I went to the University of Amsterdam. Since then, of course, it is harder to keep the friendship up in person. Now, we meet wherever life & work takes us. Or, as the case may be, we are separated all over again: I am in her environment, she is elsewhere. 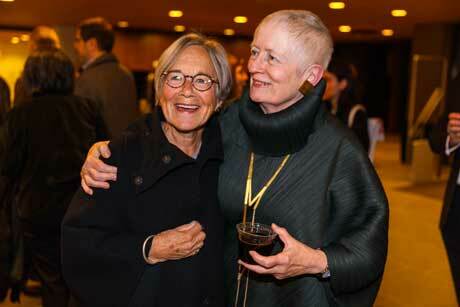 So, when she briefly came back from her own fellowship at the Getty to help the Clark celebrate the reopening of the entirely rebuilt Manton Center, we had a lovely reunion. But then, of course, there was work to do - which is as pleasurable to me as anything. 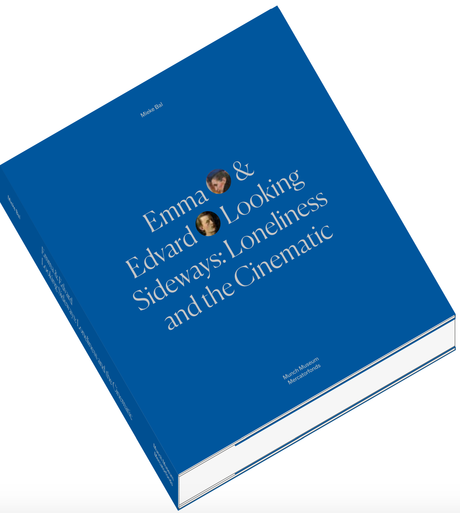 After the exhilarating although pretty hectic Spring semester, with three books coming out one of which I still had to finish, without interruption, over the Summer I got started on the book for the Munch exhibition Emma and Edvard. No Summer Holidays this year. Never mind. 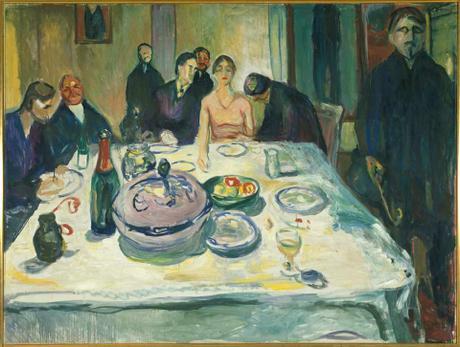 Delving into Munch’s work was an intensely exciting and pleasurable experience. The photo that became the emblem of the show, in addition to the two of sideways looking, is a poignant image of loneliness. Juxtaposed to the famous self-portrait that is known as the loneliness picture, one can see how the artist was not the cynical misogynist some make him out to be. The utter solitude is matched by the one of the woman who, like Flaubert’s Emma in our videos on her wedding day, is totally isolated. This is supposed to be a festive day! This is the picture that ended up on the invitation card. 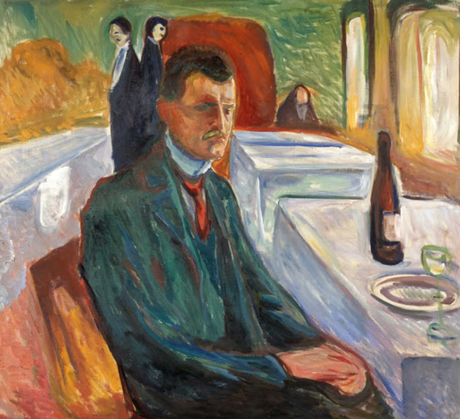 In addition to the mood of loneliness and disillusion, these paintings also demonstrate the way Munch deployed both colour and the tension between figuration and abstraction in his style. Not to forget what I call “the cinematic”. The flash going off behind the “bride” and the man with bowed head next to her is at least an allusion to the electronic media. Meanwhile, another great event was the Honorary Degree that was awarded to me by the University of Luzern (Switzerland). The initiative had been taken by Boris Previsic, a professor of cultural history in the faculty of Humanities and Social Sciences. 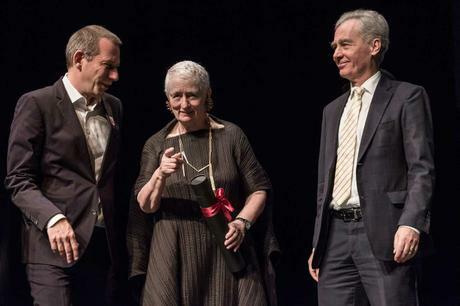 I felt especially gratified by the combination of those two areas, and by the insistence, in the award speech, on the importance of my attempts at integrating art making with analysing, as I have done over the last decade. Boris remembered me from a Summer School at Cornell, and shamefully, I did not remember him. The first photograph here shows me between the Dean and the Rector, pointing to Boris who had written the beautiful speech that the Dean then read. I have fought all my life against the way people who do important things sometimes remains invisible - and from their smiles you can tell the two men agree. This photo and the next are not really a sequence, but narratively they are. Before taking off to Luzern I was able to send off my book manuscript. I also took a few days break in New York, among other things to participate in a documentary for acclaimed US web producer Vox against the awful black-facing tradition in the Netherlands, “Zwarte Piet”. The piece is entitled Why blackface is still part of Dutch Christmas. And in addition to all this, I got the opportunity to show and discuss my new film, Reasonable Doubt, in various places: the Cinema Theatre Images, in Williamstown, Harvard University, the Pembroke Center at Brown University, and in the Stattkino in Luzern. The EYE Film Institute in Amsterdam is next, on January 18th - see their website. So far, the film is very well received. It seems viewers are sensitive to my attempts to integrate documented history with fiction to create a “theoretical fiction” that shows, audio-visually, the process of thinking Reasonable Doubt. This has been, indeed, a semester as never before.